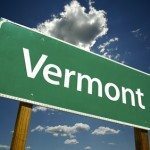 In 2010, the Vermont Attorney General’s office led a state commission investigation into the homicidal death of four individuals ranging in age from 78 to 89. Two reported cases of homicide happened in nursing facilities in southern Vermont. An 89-year-old victim, Alice Williams, suffered fatal injuries when another Vermont nursing home resident smashed her head up against the wall at the facility. Bennington resident Dorothy Papero, 84, also staying in a nursing facility, suffered crushing injuries by another resident. She died from her internal injuries two days later. An 83-year-old Burlington resident, Donald Syron, suffered a life-threatening broken leg while slipping over a dog dish during an altercation involving his son. Mr. Syron died of an injury-related blood clot two weeks later. In a case highly publicized, hunters in Wheelock, Vermont found the remains of 78-year-old Pat O’Hagan, a Sheffield resident who was missing for weeks. Fortunately, the four homicides in 2010 do not reflect a trend or have any connection to any reported APS (Adult Protective Services) incident by the agency charged with investigating any complaint of financial exploitation, neglect or abuse of vulnerable seniors, or frail or disabled individuals. This is important because the APS caseload has increased over the years in regards to serious abuse and neglect. The state’s Domestic Violence Fatality Review Commission has released recommendations addressing elderly abuse in Vermont. The first recommendation involves outreach programs specifically focused on isolated senior citizens most vulnerable to abuse. The second recommendation involves developing protocols to protect vulnerable adults by connecting them to confidential support and local services. The commission was developed as an effective solution for collecting valuable data on the elderly, frail and disabled. The information provided helps to better comprehend why and how certain fatalities happen and what preventative steps the state can take to avert any future fatality. Domestic abuse, abandonment and nursing home neglect are common problems in the deaths of senior citizens. Pat O’Hagan likely wandered off from her home the month prior to hunters discovering her body in the forest. Dorothy Papero was the victim of a dementia patient mistaking her for an intruder before knocking her to the ground and hitting her with crushing blows. Donald Syron had dealt with domestic abuse before, allegedly abusing his wife while living in Florida prior to moving in with his son and daughter-in-law just a year before his death. Piecing the information together on the death of Alice Williams is complicated because of the challenges of obtaining records of an ongoing investigation. However, it is believed that another nursing home resident grabbed Alice’s shirt, pulling her to the ground where her head struck against the floor with significant force. Violence and homicides against senior citizens has increased in recent decades. The enactment of the Elder Justice act in 2010, signed by President Obama has provided a solution for addressing many of the problems associated with elder abuse. In addition, The Patient Safety Abuse Prevention Program offered a solution to nationalize the way long-term care workers undergo a criminal background check. While the above cases do not directly correlate the level of care provided in nursing facilities and violence from patients and other individuals, there are obvious connections that have set the stage for what happened in every case listed above. Many times, nursing facilities are understaffed, unable to provide constant monitoring of all patients in situations occurring in the home. Without proper protection, innocent victims can suffer serious injuries or death at the hands of others. Many state and federal lawmakers remain active in changing laws to protect patients from neglect and abuse by staff members, families, friends and other residents living in nursing facilities. However, many of their laws are not aggressive enough to combat the problem. When nursing facilities do not follow necessary regulations, it can easily create a situation where the facility disregards the safety, health and comfort of every resident.